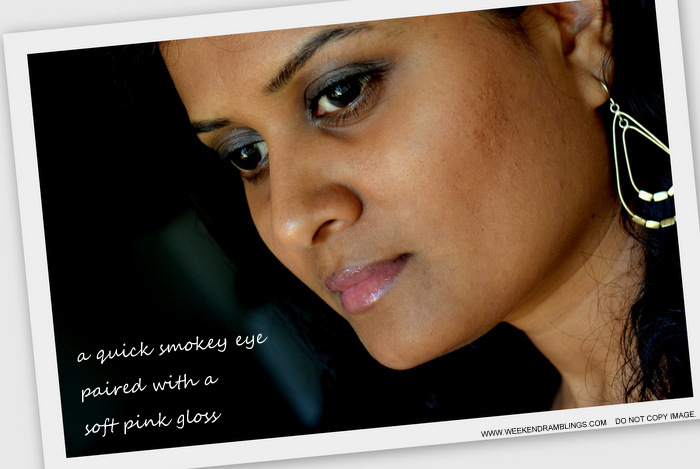 Smokey eyes are a perfect choice for anyone looking for dramatic eye makeup options, but a simple soft version works just great for the day-time and/or if you are shy of going too dark with your eye makeup. 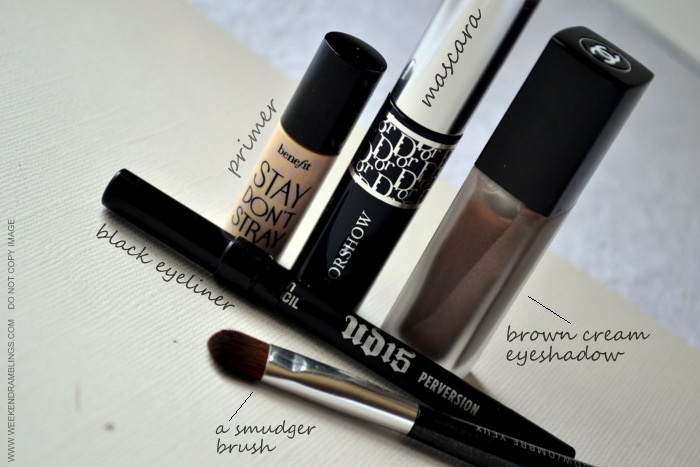 Pair a black eyeliner with a cream eyeshadow to get the simplest smokey eye in a jiffy. You will need: A primer, a soft black pencil eyeliner, brown/bronze eyeshadow, a highlighter shade, and mascara. Start with a primer, applying it over the entire eyelid. This helps bring out the color of the eyeshadows while latching on to the makeup and helping it stay on longer. My pick - Benefit Stay Don't Stray Creaseless Primer. Using a soft black eyeliner pencil, line close to the upper lashline and then smudge this gently with either your finger or a smudger brush. I prefer using a brush because I find this gentler. I have used the Urban Decay eyeliner in Perversion, but use any soft, easy-to-smudge (and inexpensive) eyeliner. Apply a brown (or any other color of your choice) cream eyeshadow over the smudged liner. Deposit the color closer to crease area and blend towards the lashline. This way, the darkness of the smudged liner gets slightly toned down by the shadow but still shows through without being completely covered. I have used Chanel fluid shadow in Splash. Finish with tons of mascara, concentrating on depositing the maximum color to the roots of the lashes. This helps intensify the smokey eye and makes the lashes look thicker. Am currently trying out the Diorshow Mascara (and loving it). I used rose-mauve lipliner topped with a pinkish beige lipgloss (Chanel Sweet Beige) and used Chanel's Brume D'Or on my cheeks.